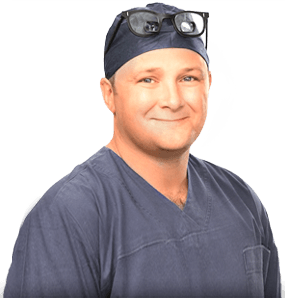 When is, oesophageal surgery recommended? Squamous type - surgery is recommended for cancers that return after treatment with radiotherapy and chemotherapy or occasionally in combination with chemotherapy and radiotherapy for fit and healthy individuals. Adenocarcinoma - Surgery forms the basis of curative treatments, either alone or in combination with chemotherapy and radiotherapy prior to surgery. Diet - many people who have oesophageal cancer have lost weight or have difficulty swallowing food prior to treatment. Ensuring adequate intake of food and fluids is essential to prevent complications. You may see a dietician to advise on diet supplements. A small number of patients may need to have a feeding tube placed prior to treatment. Smoking - if you smoke you must stop prior to treatment to prevent lung complications. Exercise - regular exercise should be maintained prior to surgery. How is oesophageal surgery performed? The type of oesophageal surgery performed depends on the location and extent of the tumour. Small shallow early tumours may be treated with endoscopic resection alone. This avoids many of the complications of major surgery and recovery is quick. Patients are often discharged from hospital on the day following the procedure. Apart from very mall tumours, oesophagectomy (removal of part or all the oesophagus) is required. As the oesophagus passes through the chest and abdomen, this operation requires separate large incisions on the chest and abdomen. The abdominal part of the operation frees the lower oesophagus and prepares the stomach to be pulled into the chest. The chest part of the oesophagus is to remove the oesophagus and join the remaining oesophagus to the stomach. A feeding tube is also placed directly into the bowel during the abdominal portion of the operation. What are the risks of oesophageal surgery? What to expect after oesophageal surgery? Naso-gastric tube - used to keep the stomach empty, while the join between the oesophagus and stomach heals. Chest drains - two soft plastic drainage tubes are placed under the wound from the chest operation. These tubes remove excess fluid from the chest cavity and allow the ling to re-expand. They are removed around 5 days after surgery. Pain - would be considerable without pain relief measures, including tablets, injections and epidural catheter. Oral intake - fluids and food are reintroduced slowly so give bowel joins a chance to heal. How long is the recovery after oesophageal surgery? The recovery after surgery involves a 10-14 day stay in hospital, if complications arise this stay may increase. The recovery from surgery, especially the chest part of the operation may take 6 weeks. After discharge from hospital the feeding tube will be removed in your surgeon’s office at 6 weeks.